Patriot Gold Corp., a developing gold and silver production and exploration company, today provided updates for its Bruner Gold and Moss Gold-Silver projects. A Reverse Circulation ("RC") drilling program is expected to commence on or about March 15, 2013, and continue through June 2013 following a recent contract signed with AK Drilling of Butte, Montana. 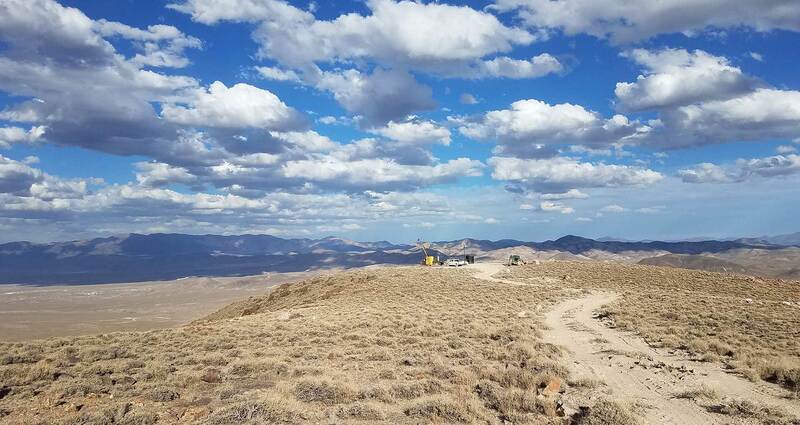 This contract is for 22,000 feet (+6,700 meters) of RC drilling at the Bruner Gold project site located in central Nevada, approximately 200 kilometers east - southeast of Reno. Additional drilling of at least a similar amount during the second half of 2013 is anticipated, although details on that drilling will be dependent upon, in part, the drilling results received from the first half of 2013. "We are excited for drilling to resume on the Bruner project, which hosts six former producing mine sites. Drilling throughout 2013 should establish an initial mineral resource estimate by early next year," said Bob Coale, CEO of Patriot Gold. "We expect to report a great amount of progress throughout the year and look forward to keeping our investors closely updated." Drilling will commence on the West side of the property on the northern extension of the former producing July-Duluth mine sites at the historic resource area. This area has seen little drilling, and is characterized by strong silica-adularia alteration and some brecciation along north-trending structures that appear to be the extension of the gold-bearing structures that host the feeder zones of the historic resource area. A total of 16 holes from four sites are planned in this area to test this northern extension to the historic resource area. If successful, additional drilling in this area will be proposed for the second half of the year. Following the first stage of drilling on the West side of the property, drilling will then proceed to the East side of the property and the Penelas East discovery area. Drilling will continue at the open extension to both the North and South of the new deposit discovered in 2012, where 19 out of 20 holes intersected mineralization averaging 158 ft. grading 0.041 oz./ton (51.84 m of 1.41 g/t) Au, including discovery hole B-1201 which returned 360 ft. grading 0.119 oz/ton (118.11 m of 4.08 g/t) Au. Metallurgical test work is already underway on drill samples from the Penelas East discovery deposit area. Metallurgical test results are expected shortly and will be announced separately. The Penelas East target area is over 1,800 ft.(600 meters) long and contains several gold intercepts in shallow holes completed by Newmont, Miramar and others well north of the current proposed drilling program. In addition, the area also contains gold intercepts in shallow holes completed by Patriot Gold to the southeast. If mineralization is encountered between these previously drilled areas, the current drill program could indicate a continuity of gold mineralization and extend the mineralized zone beyond the currently established strike length. Patriot Gold today announced that its Moss project earn-in optionee/operator has provided an updated NI 43-101 (Toronto stock exchange compliant) resource estimate for the Moss project, located in the historic and active Oatman mining district near Bullhead City, Arizona. The new report will include the Preliminary Economic Assessment ("PEA") for the project and will play a critical role in guiding Phase I and Phase II production to facilitate the completion of a Bankable Feasibility Study ("BFS") for the gold and silver mine. A copy of the full report is anticipated to be available through the Patriot Gold website by the end of March. Under the Canadian standards, the new NI 43-101 mineral resource estimate is 22,589,000 metric tonnes of Measured and Indicated resource for 653,600 gold equivalent ounces* (AuEq oz) with an average grade of 1.03 grams/tonne AuEq, and includes a further 82,020 AuEq oz of Inferred Resources with average grade at 0.64 grams/ tonne AuEq. "We are confident in the integrity of the deposit and the data. The new and improved resource model that is now in place is robust and incorporates all previous as well as new drilling results which post-date the September 2012 technical report and resource estimate. In addition, we are still on track to release the Preliminary Economic Assessment technical report for Phase I and II later on this month which we expect will support a Phase III commercial production level of up to 10,000 tonnes per day", said Coale. * Gold equivalency is based on a silver:gold ratio of 50:1 and assumes 100% recovery of gold and silver. The Bruner Project is situated in central Nevada, 15 miles north of the Paradise Peak mine, 45 miles northwest of Round Mountain and 25 miles east of the Rawhide mine. Historic production included about 100,000 ounces at an average grade of 0.56 opt gold. Since commencing drilling with its current earn-in optionee/operator in November 2011, the project has completed 14 drill holes through reverse circulation techniques. The geological disclosure in this press release has been reviewed and verified by a certified professional geologist (#7122) who is considered a Qualified Person for the purpose of National Instrument 43-101, Standards of Disclosure for Mineral Projects. Patriot Gold owns 100% undivided rights, title and interest in the project which is subject to certain royalties and an earn-in option agreement for 70% interest.. The earn-in optionee/operator has the right to earn 70% interest in the Bruner project by spending $6 million over seven years and may earn an additional 5% by completing a bankable feasibility study for a total of 75% interest in the project. Subsequent to the optionee/operator earn-in, financing of the project will be on a proportional basis. The Moss Project is located approximately seven miles due east of Bullhead City, Arizona. Patriot Gold is the 100% owner in the historic Moss Gold-Silver property located in Mohave County, Arizona, which is subject to certain royalties and an earn-in option agreement for 70% interest. The earn-in optionee/operator has the right to earn a 70% interest in the project by completing an $8.5 million investment over five years and a bankable feasibility study. Subsequent to the optionee/operator earn-in, financing of the project will be on a proportional basis.